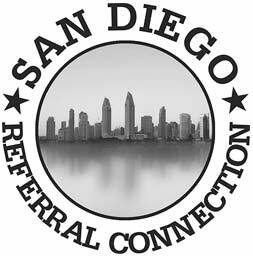 San Diego Referral Connection is a business network made up of local business owners and professionals in San Diego, whose members deliver products and services to home owners, consumers, small businesses and corporations. Combining weekly meetings and a monthly social hour, our members work to get to know each other and actively refer one another. If you're like many small business owners and professionals, you probably started your business with an understanding and interest in your field; but marketing and networking has never been your forte or focus. In fact, marketing may have been an afterthought, something you felt compelled to do only when business was slow; and even then you were perhaps unsure what type of marketing you should be doing much less how to tackle a marketing campaign. The next Evening Social Hour will be May 8th from 5-7 PM at the Riverwalk Golf Course in Mission Valley. We will not have a meeting that morning. All categories are welcome, of course, but we think the following will benefit especially well in our group!